The Vermont Air National Guard is preparing to base F-35 fighters jets in Vermont in the fall of 2019. A non-binding ballot item in Burlington this Town Meeting Day aims to stop that action. The fight over the basing of F-35s in Burlington has been going on for years. Charles Simpson is an activist with Save Our Skies — the group that worked to get the item on the ballot. He's also running for Burlington City Council. 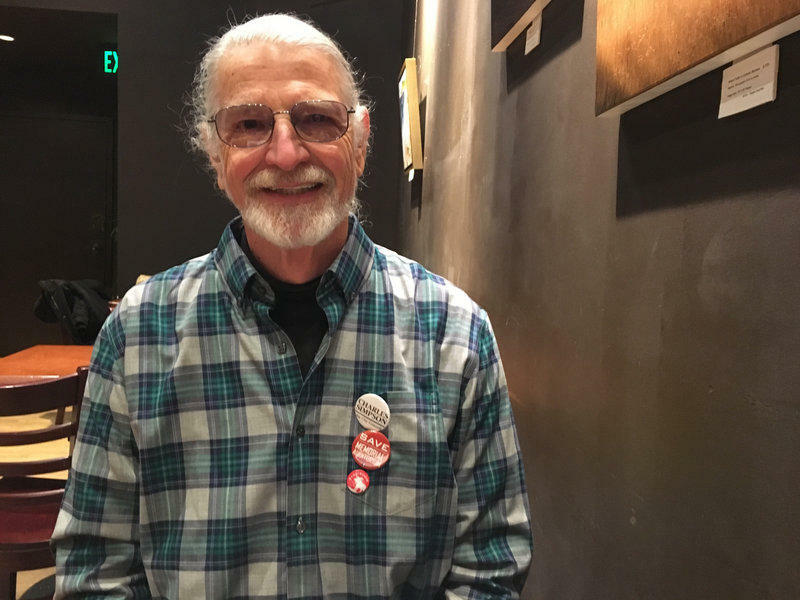 Charles Simpson, an activist with Save Our Skies and a candidate for Burlington City Council, said the ballot item is a check on the city's inaction on the basing of F-35s. Simpson said among the concerns is the noise from the new jets. "The old plane was the F-16. We're bringing in the F-35 — four times louder, much bigger noise impact zone, which is going to put in jeopardy 3,000 homes,” he said. Save Our Skies' website lists other concerns, such as potential health impacts from exposure to high levels of noise. Opponents of F-35s in Burlington feel voters should support the non-binding ballot item this Town Meeting Day. However, in the week before the vote, the Vermont Air National Guard has stepped up its outreach, including taking a group of reporters on a tour of the air base to show how much work has already been done to get ready for the new aircraft. 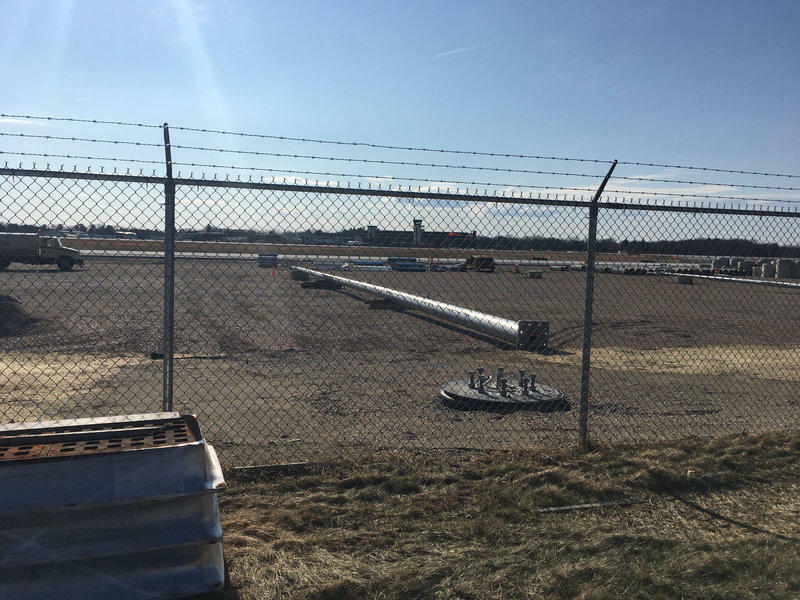 “So this is aircraft shelters, this will be a new aircraft parking apron where we park the jets,” said Col. Adam Rice, gesturing at a large dirt field with a couple of long silver pipes set on the ground. “The air field project is a little over 50 percent complete,” Rice added. The Vermont Air National Guard has already spent $83 million in renovations at their base in anticipation of the F-35s arrival. The jets are expected to come to Vermont in the fall of 2019. So far, the guard has spent $83 million preparing the base for the new jets, and Lt. Col. Daniel Finnegan, of the F-35 integration office, said the preparation will continue. Brig. Gen. Joel Clark declined to say how the guard would respond if the ballot item passes. Clark said the wording of the ballot item makes it sound like opposing the F-35s is actually supporting the guard, which he says is misleading. From left to right, Brig. 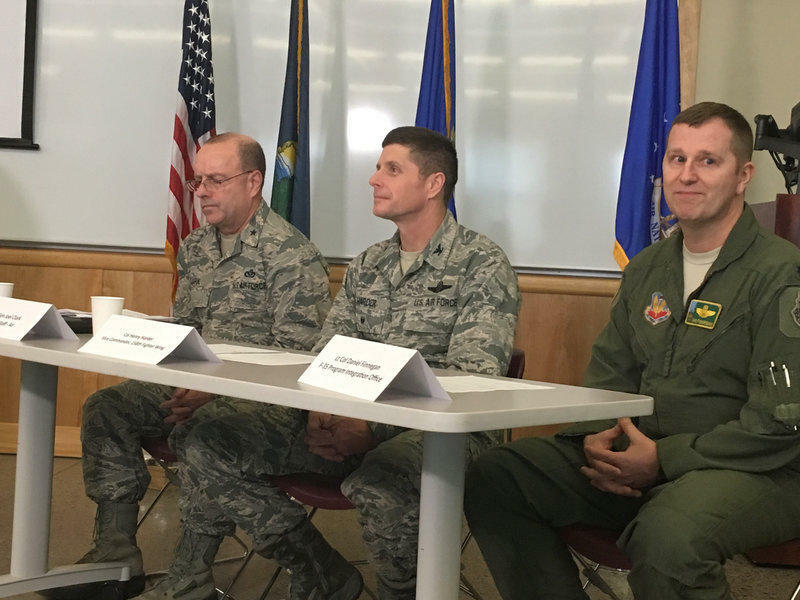 Gen Joel Clark, Col. Henry Harder and Lt. Col. Daniel Finnegan speak at a press conference about the Vermont Air National Guard's preparations for bringing the F-35s to the state. Simpson, the activist against the F-35s, said the Town Meeting Day vote is a check on the city. “In the present case of aircraft noise, the mayor and the City Council have failed to execute the police power of government to protect area homes,” Simpson said at a City Council meeting in January. According to Clark, the guard expects to land a few jets in Vermont this year before the F-35s are officially slated to be here to stay in 2019. On Town Meeting Day, residents in Burlington will cast their ballot on a number of issues, as well as select ward representatives for City Council. The anticipated arrival of F-35 fighter jets has residents near Burlington International Airport concerned about how much noise the jets will generate. And there have been questions about the availability of sound maps that show how jet noise will affect homes around the airport. In Vermont And Beyond, Where Does The F-35 Program Stand? F-35 fighter jets are expected to be delivered to Vermont in 2019, but as President-elect Donald Trump mentioned in his press conference last week, there have been cost overruns and scheduling delays in the production of the fighter jet.